Cracked, stained, or misshapen teeth can make you feel self-conscious and have a negative impact on your self-confidence. 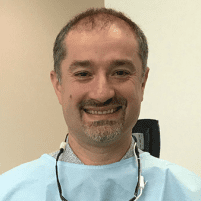 The dental professionals at A Plus Cosmetic Dentistry in Brentwood of Los Angeles, California, provide porcelain veneers and Lumineers®, which can improve your smile's appearance and function. To learn more, book an appointment online or over the phone. Veneers and Lumineers are thin porcelain shells made to replicate the natural look of your teeth. First, each veneer is custom-fitted to your individual teeth. After the fitting, one of the skilled dental professionals at A Plus Cosmetic Dentistry bonds them to your existing teeth. Veneers hide defects like gaps, stains, cracks, or misshapen teeth. They can also restore frail teeth. Porcelain is the most stain-resistant material for making veneers, though veneers may also be created out of resin composite materials. Porcelain more closely resembles your actual teeth enamel, too. After a meeting to talk through your veneer options and the results you’d like to see, you must return for a follow-up appointment. Then, one of the dental professionals shapes your existing teeth to prepare them for the veneers by removing a tiny amount of enamel from the surface. Then a mold is taken of your teeth and sent to the lab, where technicians will create your custom veneers. When your veneers are finished, you’ll return to the office, and your veneers are fitted and bonded one by one over your existing teeth. In a relatively short amount of time, your veneers are permanently in place, and you have a new and improved smile. Lumineers are a brand of veneer that is less invasive. While traditional veneers require that some enamel is shaved off of your teeth so that the veneers don’t appear large and unnatural, Lumineers are thinner and placed over your full, original teeth. Although they’re thin and appear delicate, they boast a similar strength to traditional veneers. The cosmetic dentists at A Plus Cosmetic Dentistry have specific training in the attachment and care of Lumineers that others lack. They’ll make sure that you look and feel great with your new smile. Call A Plus Cosmetic Dentistry or schedule a consultation using the online booking tool if you want to learn more about improving your smile with the convenience of custom veneers.